From the outset of this article I want to be clear that my intention is not to beat up on Western missionaries or organizations. Rather, I hope through this article to help you see things from a different perspective that may be beneficial to our efforts to expand the kingdom of God to the ends of the earth. The problem mentioned in the title is the problem of fragmentation. What do I mean by fragmentation? In the West we are inclined to break things down into individual units. With regards to global engagement and mission we divide the task into many separate components. We have ministries that focus on segments like church planting, evangelism, orphan care, development and poverty alleviation, justice, human trafficking, etc. The list is almost endless and the specifications abound. As a result we have a myriad of denominational and parachurch organizations working and overlapping one another. One benefit to this approach is that specialization/expertise in specific areas is helpful when addressing very complex issues like poverty and all of its social and spiritual implications. However, let’s think for a moment about the downside. To put this into perspective lets zero in on one hypothetical community. We’ll call it Example Town (ok so I’m not very creative). Example Town is a very poor community in the developing world and, as is expected, has many different spiritual and social problems. These problems are typically addressed by numerous ministries from the various segments listed above. For example, Ministry A is a church planting ministry working in Example Town. This in and of itself is very unusual. Normally, church planting ministries from the West do not focus their efforts on very poor communities. Instead they usually invest their resources in middle and upper class communities where the church can quickly become financially self-sustaining. That being said, in this case, Ministry A has decided to work in this needy community. In keeping with their Western propensity to break things down into individual components Ministry A focuses their church planting efforts on the spiritual needs of the people. They do evangelism and preach at multiple services a week. They do an excellent job of caring for the souls of the community but are not very effective at caring for bodies. This is okay for them because, in part, they know others will come and minister to the bodies while they do the “more important” work of winning souls. Enter Ministry B which is a group that focuses on feeding the hungry. They are staffed by godly people who love Jesus and want to feed him by feeding the poor. Thus they arrive in Example Town and setup a feeding center. They serve three meals a day and give the children in the community vitamins. They really help the poor families in Example Town to avoid malnutrition. They even do some Bible stories with the children but they have no real ties to Ministry A or to the local body of Christ, except that hunger forces some members of the church to eat there on a regular basis. There are lots of orphans in Example Town. Aids has really taken a toll here. Ministry B is able to feed some of the orphans but they are not able to get them off the streets. Thankfully Ministry C shows up and builds an orphanage to care for these children. The Western couple who runs the orphanage love the children and, as best they can, treat all 80 of them as if they were their own. Now that they have arrived the orphans don’t have to eat at Ministry B any longer so they are able to help other families. This is a great help to the community as well, but outside of this the two groups have little to do with one another and even less to do with the church that Ministry A is planting. Ministries A, B, and C are doing good work in Example Town. Souls are being won, the poor are being fed and orphans are being cared for. This is all excellent news, but unless something changes in the community the people will always be poor and need ministries A, B, and C to care for them. Fortunately, Ministry D is sending a team to Example Town. This is wonderful because Ministry D is focused on poverty alleviation and development. They jump right in and begin making micro-loans and teaching job skills in the community. As Christians they are governed by the gospel, but their focus is structural change, so they decide to leave the spiritual work to Ministry A. Example Town is a lucky place. They have foreigners from four ministries caring for their needs. Meanwhile the members of the church that Ministry A is planting show up like clockwork for services and worship events, but they aren’t very engaged in the community. As non-Westerners they have a deep concern for the whole individual and community. However, their church says the soul is what is really important and besides those nice people from overseas are taking care of the orphans and the hungry for them. As a result they continue to learn about Jesus and want to be involved in ministering to the community but they can’t compete with Ministry B, C, and D so they will just keep winning souls and watching from the sidelines. Before I go any further let me be clear. This is a very simplistic generalization to hopefully make a point. The examples above are not intended to represent any particular ministry, but are intended to point out a very typical approach to global engagement by the West. If Ministry A, B, C, and D actually represented any specific ministries I would adamantly affirm their love for Jesus and desire to serve him by engaging the world. That being said I would like to propose an alternative approach. Now imagine Example Town is a needy community among the global poor. Currently no one from the West is working in the community and the people are struggling with spiritual and physical poverty. One day Ministry E shows up. Ministry E is a church planting ministry, but they are different from Ministry A described above. Ministry E thinks like the local people think. They believe that Jesus loves whole people and they don’t divide them into souls and bodies. Instead they believe that their church planting efforts should be comprehensive in nature. They want to bring total transformation in the community so that it reflects the kingdom of God in every aspect of life and they want this to be done by the local church, the local hands and feet of Jesus. With this in mind Ministry E begins working in the community in much the same way Ministry A would. They visit homes and lead cell groups. They organize corporate worship services and even have Sunday School. However, as they enter people’s homes and spend time with them they quickly realize that the people in Example Town are hungry. Rather than contacting Ministry B and asking them to send someone to open a feeding center they decide to dedicate some resources to equipping the small number of new believers they have reached to begin feeding the hungry in their community. The church plant explains to these new followers of Christ that they are to love God and love their neighbors. This love is a sacrificial love that sets aside self and serves others. With this understanding and minimal resources from Ministry E the local body begins to deliver food to the community and prepare meals. In the process, in a very green and unpolished way, they begin telling their neighbors about the one who died to give them new life. The one who was hungry, tired, and rejected so that they would not have to be. As they continue to feed the hungry among them, their numbers grow, and they take notice of all the orphans in their community. They search the scriptures to see what obligation they have to these orphans. They learn that as Christians they have a responsibility to care for widows and orphans. So, naturally they begin helping them. Even in their poverty they determine to do something. Some of the church members give their blankets and warm clothing to the elderly widows. Others take orphan children into their homes. Realizing that they cannot do this alone they approach Ministry E, who is helping to plant the church in their community, and Ministry E joins them in working together to care for the widows and orphans. Finally, the members of the church plant realize that unless some things change structurally their community will always struggle with these issues. They develop plans to help the young people stay in school and provide job skills training. They develop ways to begin breaking the cycle of poverty. The problem is they too are poor and in need of these things personally as well. They go back to Ministry E and share their vision. The leaders of Ministry E, wanting to encourage the local body as they seek to transform Example Town for the glory of Christ, join them and begin equipping the local church to implement their vision. They even provide the seed money to begin several projects the local leaders have planned and will execute. I hope you see the difference between the two examples. The most significant is the involvement the local church has in the approach Ministry E takes. Of lesser significance, is the cost savings that result from one organization taking a comprehensive approach and joining with the local body, rather than four separate entities working in Example Town. In this example the approach of Ministry E represents the approach of Living Bread Ministries. 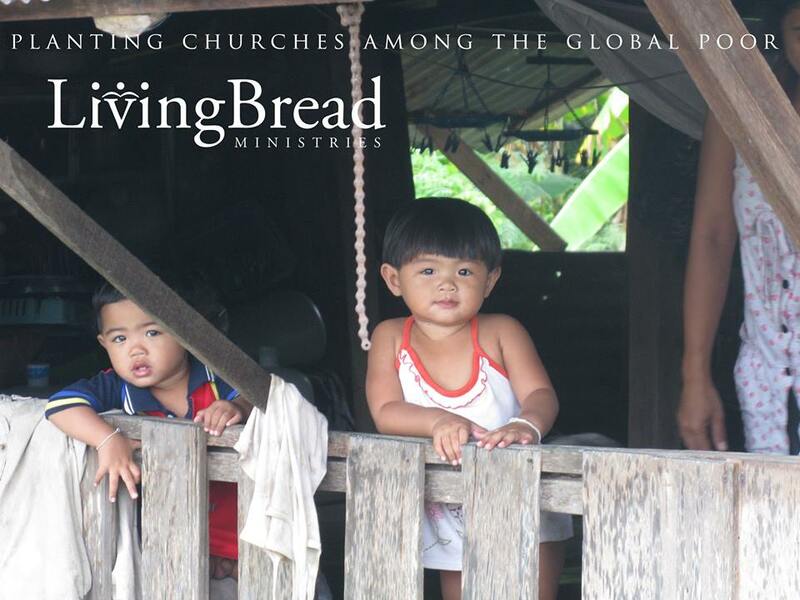 Living Bread is the organization I founded for the purpose of comprehensive church planting among the global poor. We are currently working in Brazil, Thailand, and Kenya and all of our church planting efforts follow the comprehensive approach demonstrated above. To learn more visit www.livingbread.org.